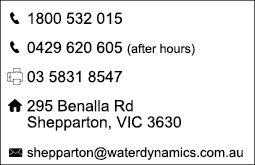 Water Dynamics Shepparton is a leading provider of irrigation and water management services with over 30 years’ experience within the horticultural, commercial and domestic irrigation markets. 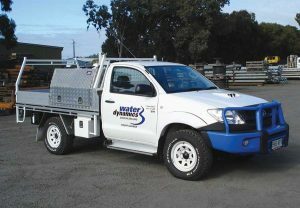 At Water Dynamics Shepparton, we strive to provide our customers with high-quality service and a superior product range. We pride ourselves in offering a complete solution package for every irrigation project we complete. 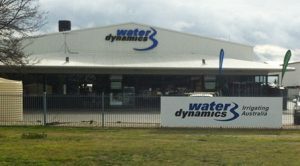 Water Dynamics Shepparton has recently taken on some new faces who bring expertise, knowledge and new skills to the shop, across all areas of irrigation. Our motivated team work together to provide customers with the right irrigation products and technical advice and services. Visit us in store today and meet the new team today! The Shepparton region is renowned for their agricultural production across a large variety of yields including large stone fruits, apples and pears, with over 70% of Australia’s pear produce being grown within this region. Our Shepparton store works closely with over 50 orchards each year to ensure their irrigation techniques and systems drive consistent quality produce, cost effectively. 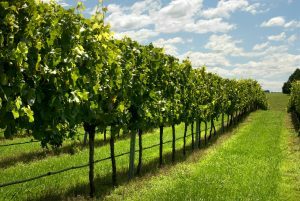 We have extensive experience in designing, supplying and installing the most practical irrigation system for all types of orchards. With a focus on saving you time and money, our knowledgeable technicians work hard to ensure your system is running perfectly in time for peak harvest season. Water Dynamics Shepparton work closely with orchards during the low season to ensure their irrigation systems will be in peak operating condition when the irrigation season starts. We provide a range of preventative maintenance systems to ensure they don’t fail when our customers need them the most. Our friendly technicians provide mobile on-site servicing, repairs and upgrades to your existing irrigation systems, giving our customers peace of mind. 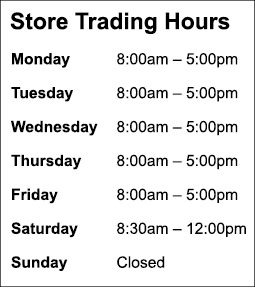 We are also on call to complete emergency repairs for breakdowns outside business hours. We work to guarantee downtime is minimised wherever possible, by ensuring our technicians are fully experienced and qualified. During the warmer months, lawns and gardens can become dry and lifeless, having a huge impact on the overall look of your home. From large irrigation systems to small sprinkler accessories, no job is too big or small for Water Dynamics Shepparton. We are focused on helping homeowners achieve a healthy lush lawn whilst also reducing water usage and saving you valuable time and money.